Polished Stainless Steel, the photo above gives a brushed look but the actual item is a polished stainless steel. 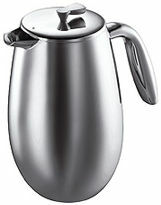 Double walled cafetiere coffee press, made from stainless steel, this is possibly the nicest looking cafetiere, from bodum the designer coffee company comes the columbia, form and function, excellent. 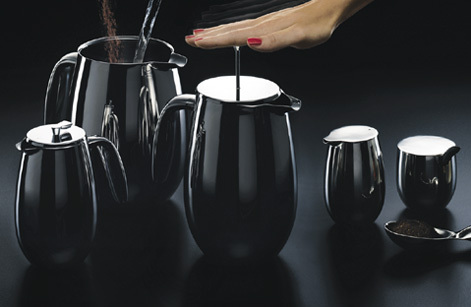 The double walled design keeps your coffee hot 3 times longer.